A big thank you to our supporters and friends who made the St Helen’s Monthly Bingo on Thursday 13th March such a resounding success. 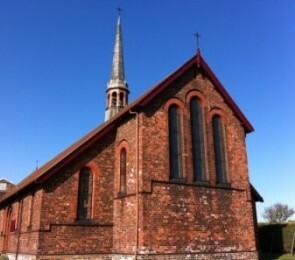 This month’s bingo made an impressive £150.00 for St Helen’s Parish Church funds. The next Bingo will take place on Thursday 10th April 2014 7:00 pm for eyes-down at 7:30 pm. The Bingo will be held at its usual location, the Jubilee Hall, Muriel Street in Carlin How Village. A further thank you to all who helped and support the St Helen’s Lent Lunch on Friday 7th March 2014 which made £75.00 for St Helen’s Parish Church funds. The next Lent Lunch in Carlin How will be on Friday 21st March 2014 12 noon to 1:30 pm at the Jubilee Hall, Muriel Street in Carlin How. All are welcome.